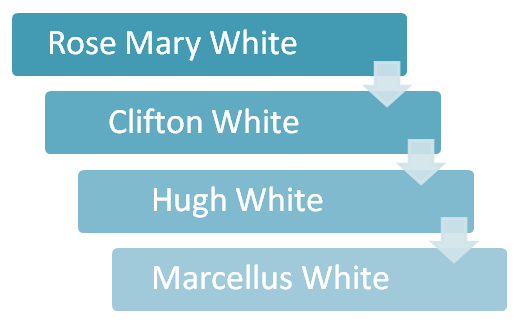 Marcellus White is my third-great grandfather on my maternal side. Marcellus was born in Roanoke County, Virginia in 1832 to Edmund and Sarah (McClanahan) White. He was the sixth of nine known children. I have little to no information about the White family in Roanoke. In fact, I don't have conclusive proof that "Virginia Marcellus" is indeed my "Missouri Marcellus." However, I believe that this line of Whites descends from Samuel White, one-time owner of the Fort Lewis plantation in Roanoke County, Virginia. 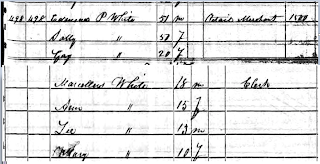 We first find the family together on the 1850 census. They are living in Roanoke County, Virginia and Marcellus is listed as a clerk. He father is listed as a retail merchant so it could be that Marcellus worked for his father. Sarah McClanahan White, Marcellus' mother, died in 1856. 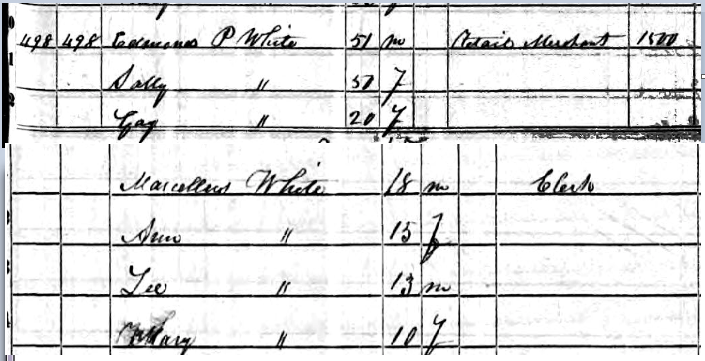 I have not found the White family on the 1860 census. I have found one potential match that shows Marcellus, his wife and his father in Ray County, Missouri. I spoke more about this document here. Sometime around 1860 Marcellus married Mary J. Tosh. I have researched all of the marriage records in Roanoke County, Virginia, but have found no record of their marriage. Marcellus fought in the Civil War and served with the Salem Flying Artillery, made up of soldiers from Roanoke County, Virginia. He was captured soon after the battle of Gettysburg and spent many months as a POW. He was mustered out of service at Appomattox Court House, where his unit was noted as having fired the last round of the Civil War. 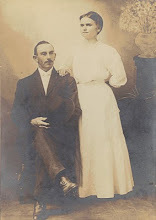 Following the war the White family are found in Ray County, Missouri. Marcellus and Mary had 6 children. Marcellus was a farmer. There is no documentation showing that he ever owned his own land. The family lived in Grape Grove Township, which is north of present day Hardin, Missouri. Other than his Civil War record and census documents, there is no other paper trail for Marcellus. I know very little about the man. There are no newspaper accounts, no obituaries and no information about his life once he makes it to Missouri. 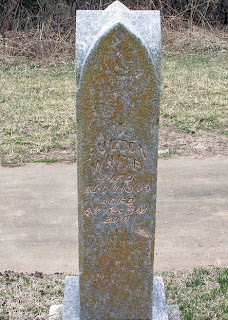 He dies in August 11, 1895 and is buried in Lavelock Cemetery, Ray County, Missouri. 1. Try to locate a birth record for Thomas E. White. It may indicate where the White family was in 1860. 2. Search Virginia newspapers to see if there is information about any business owned by the Whites in the 1850s. 3. Continue to search for definitive documentation that Marcellus is indeed from Roanoke County, Virginia.